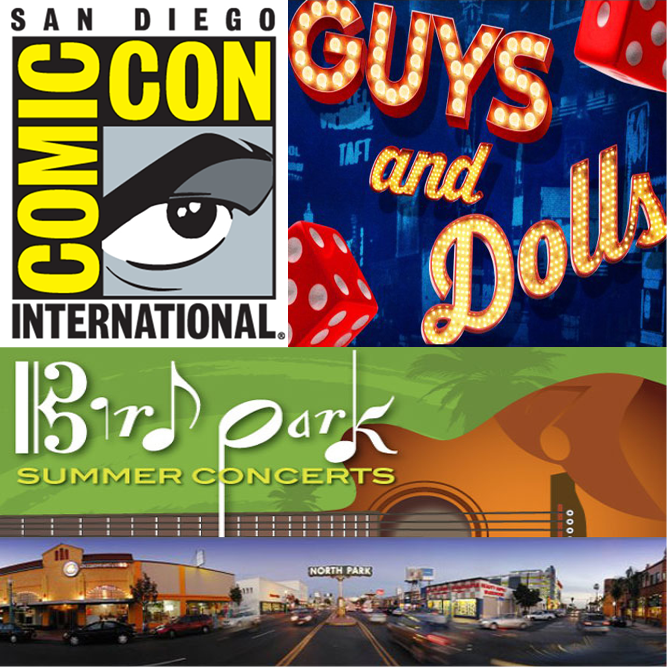 Comic-Con® International has become a signature summertime event for San Diego; it is the largest comics and pop culture event in the United States, attracting thousands of artists, celebrities, and fans of comic books, movie memorabilia and all things related to pop culture. The four-day event is not to be missed and is one of the most fun events you will ever attend. 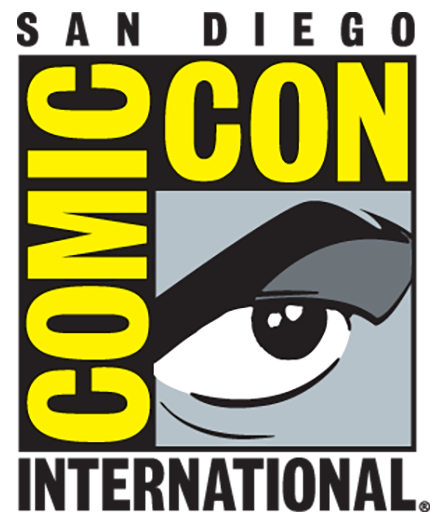 Along with panels, seminars, and workshops with comic book professionals, there are previews of upcoming feature films, portfolio review sessions with top comic book and video game companies, and such evening events as awards ceremonies and the Masquerade; a costume contest, and the Comic-Con International Independent Film Festival, which showcases shorts and feature length movies that do not have distribution or distribution deals. Exhibitors include everything from movie studios and TV networks, to comic-book dealers, to collectibles merchants. There is also an autograph area, as well as the Artists’ Alley where comics artists can sign autographs and sell or do free sketches. Dress up in your best Cosplay and let your Geek Flag Fly!!! It’s summer once again, and that means the return of the Bird Park Summer Concert Series. With the beautiful Bird Park as a background, the weather is warm and the music is jumping. 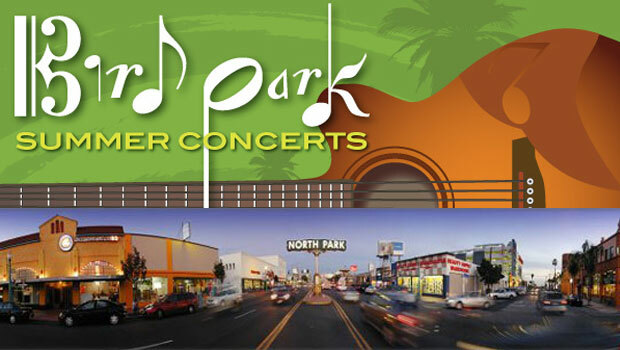 All concerts are from 5:30 to 7:30 PM in North Park. Bring the whole family!!! 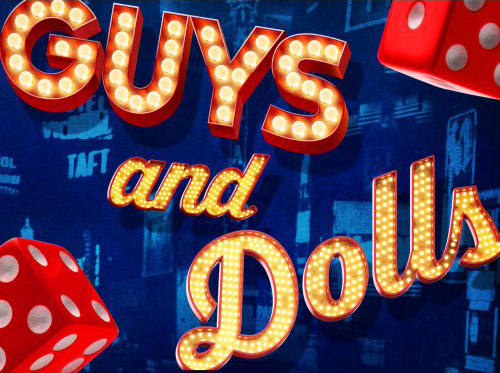 There is a reason that Guys and Dolls tops Entertainment Weekly’s list of the Greatest Musicals of All Time, and for good reason: it’s everything we love in musical theatre. Now fast-rising director/choreographer Josh Rhodes returns to the Globe to direct our first-ever production of this Broadway masterpiece. Come enjoy the classic tunes “Luck Be a Lady,” “I’ve Never Been in Love Before,” and the irrepressible anthem “Sit Down, You’re Rockin’ the Boat” and many more!! !